What I have realized is that there is a whole world out there that only want you to know half the truth. They are taking out the important parts and only leaving the left – overs. I think this is dangerous because your only getting half the picture. I am at a cross roads in my own business. The desire to make more money and the desire to be pleasing in the site of god. While I believe you can do both at the same time I see some of my peers tuck away their belief in favor of attracting more people to their business. The danger in that if you ask me is you begin to lose who you are when you do that. I am not ashamed to say that I believe in the 1 and only living god. Everything in my mind, my logic, my soul tells me he is the ultimate source of everything. His source of information came from the holy bible as seen in these scriptures..
John 10:10 Jesus said, “I come so that they may have life and have it more abundantly”. Mark 11:24 “What things soever ye desire, When ye pray, believe that ye receive them, and ye shall have them”. Mark 11:24 whatever you ask for in prayer, believe that you have received it and it will be yours. James 1:5 But when he asks, he must believe and not doubt. I also seen this mis – quoted for a long time. It seems people love to quote it, but leave out the part that talks about god. Our Greatest Fear it is our light not our darkness that most frightens us Our deepest fear is not that we are inadequate. 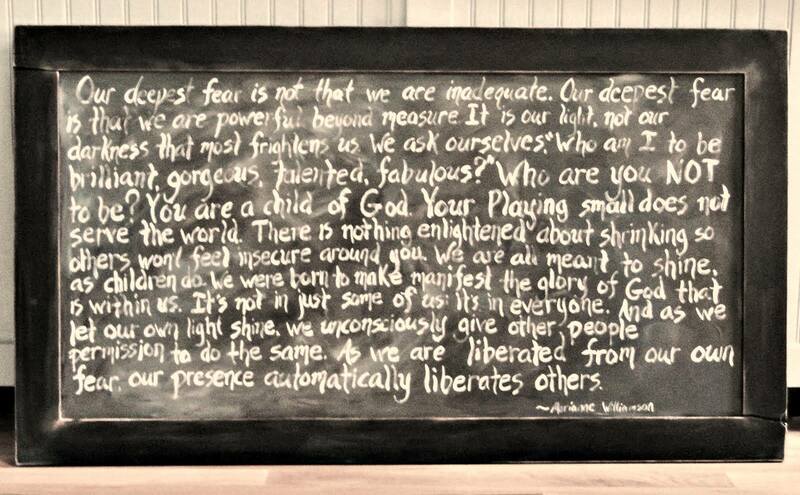 Our deepest fear is that we are powerful beyond measure. It is our light not our darkness that most frightens us. We ask ourselves, who am I to be brilliant, gorgeous, talented and fabulous? Actually, who are you not to be? You are a child of God. Your playing small does not serve the world. There’s nothing enlightened about shrinking so that other people won’t feel insecure around you. Attraction marketing is a powerful tool. I look at it like the force. It can be used for good or it can be used for bad. Tapping into the power of attraction marketing makes all the difference. I use to be one of those people who didn’t really believe much in it. Experiences in my life tells me that this powerful force (attraction marketing) if used correctly can literally take your life to places you have never been.